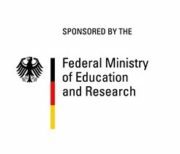 f.l.t.r. 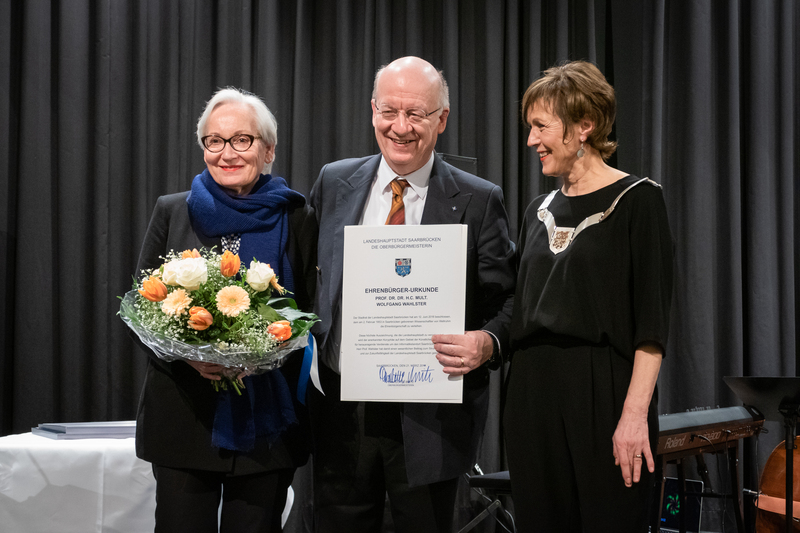 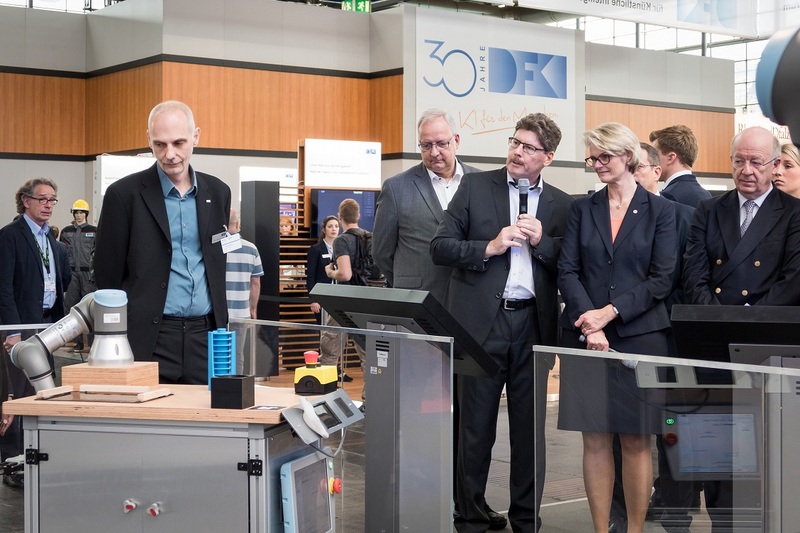 : Dr. Tim Schwartz (DFKI), Dr. Dietmar Dengler (DFKI), Anja Karliczek (Federal Minister of Education and Reasearch) and Prof. Dr. Dr. hc. 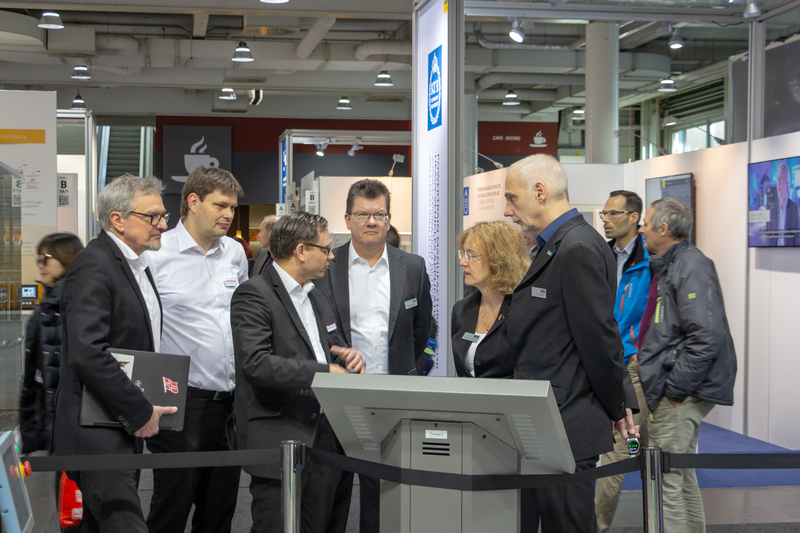 mult. 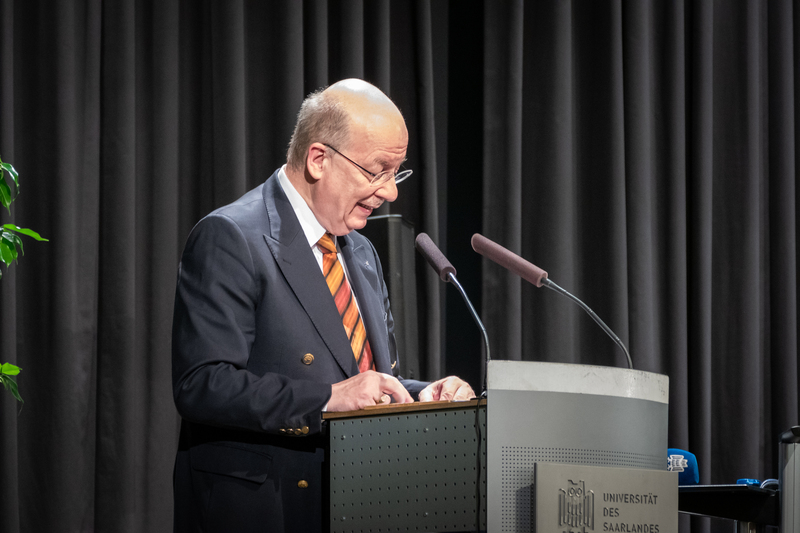 Wolfgang Wahlster (DFKI). 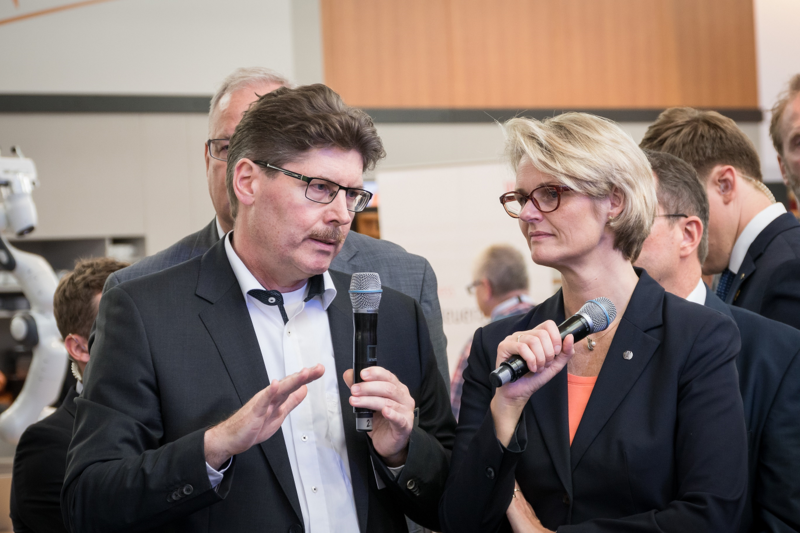 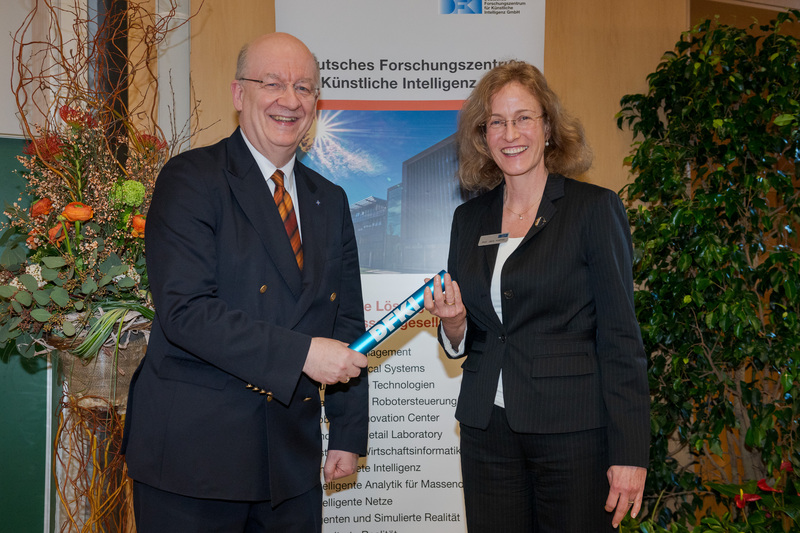 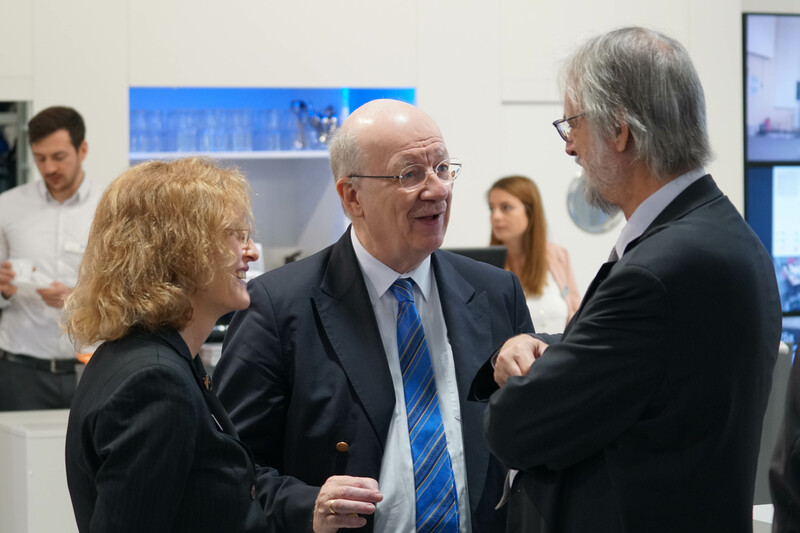 The Federal Minister of Education and Research Anja Karliczek talking with Dr. Dietmar Dengler (DFKI). 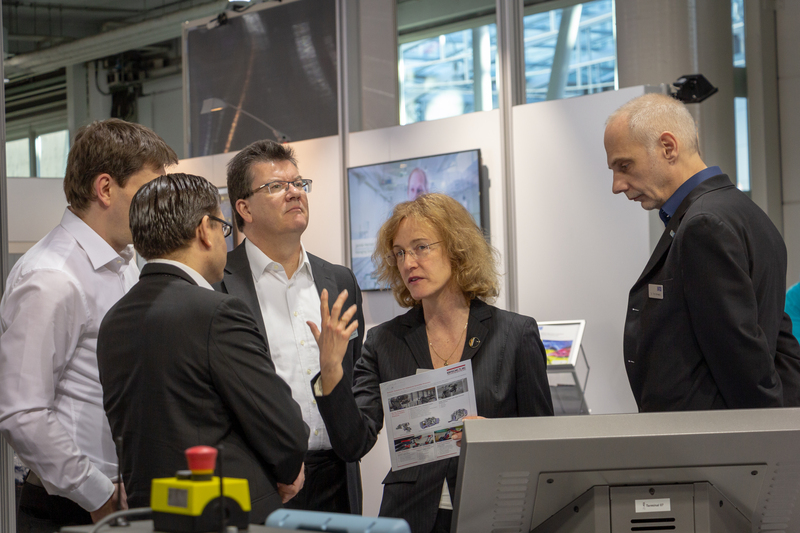 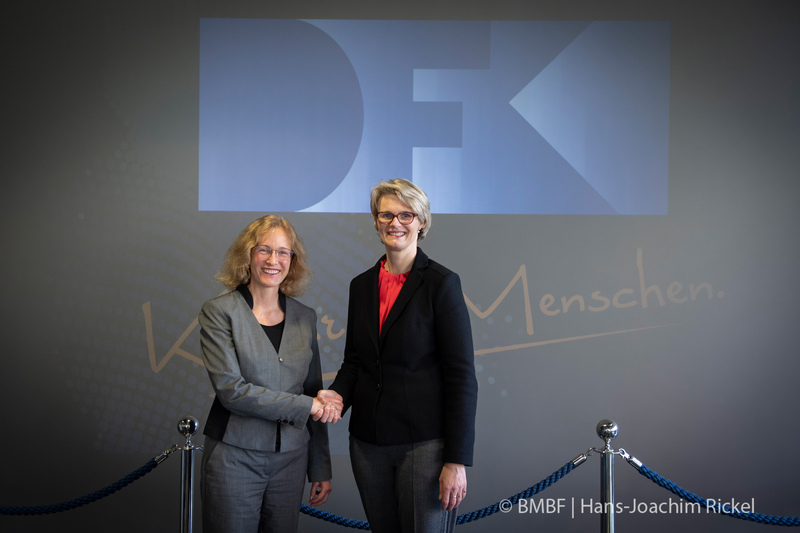 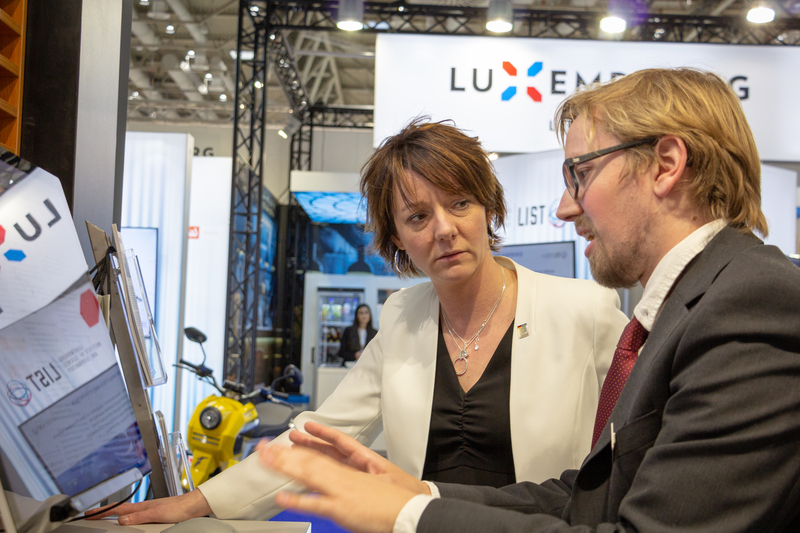 The Federal Minister of Education and Research Anja Karliczek, visiting the BMBF stall. 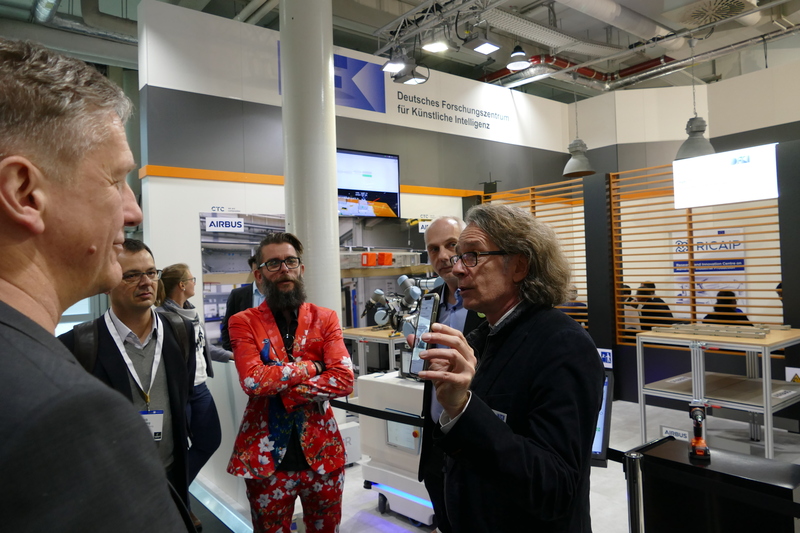 Presentation by Dr-Ing. 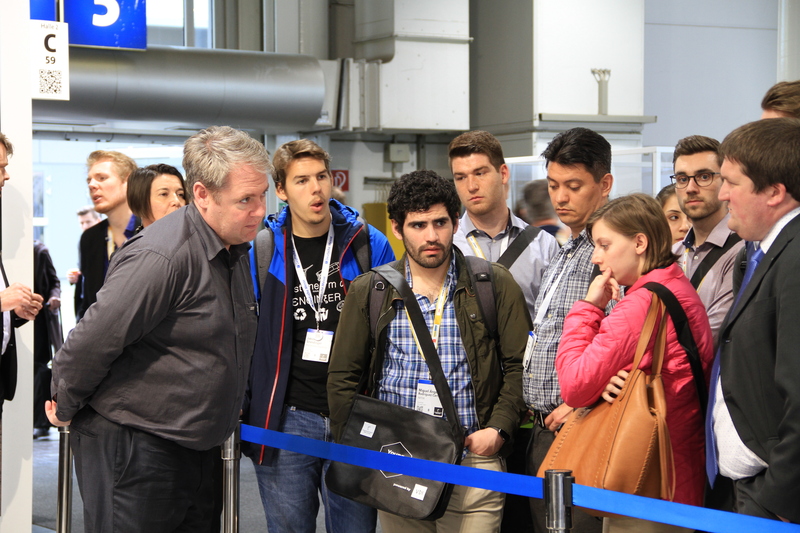 Tim Schwartz, of a demonstrator. 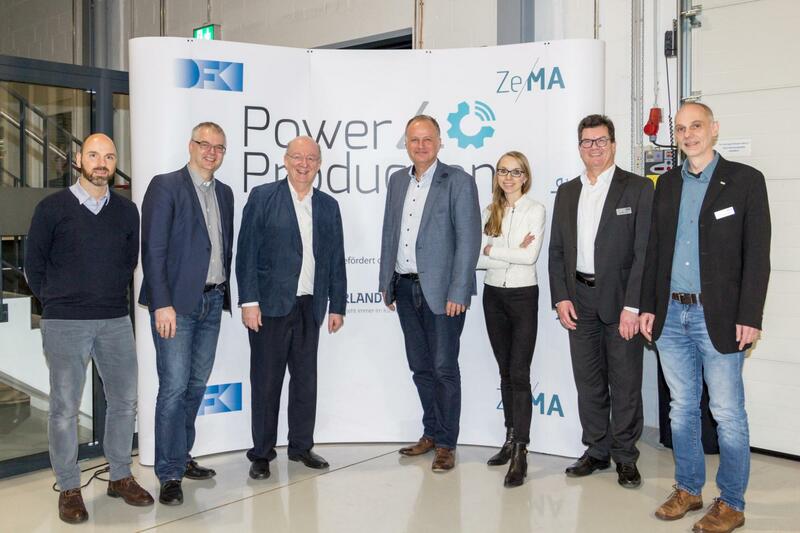 Google Research Europe is on a visit to DFKI and to the Center for Innovative Production Technologies “Power4Production”. 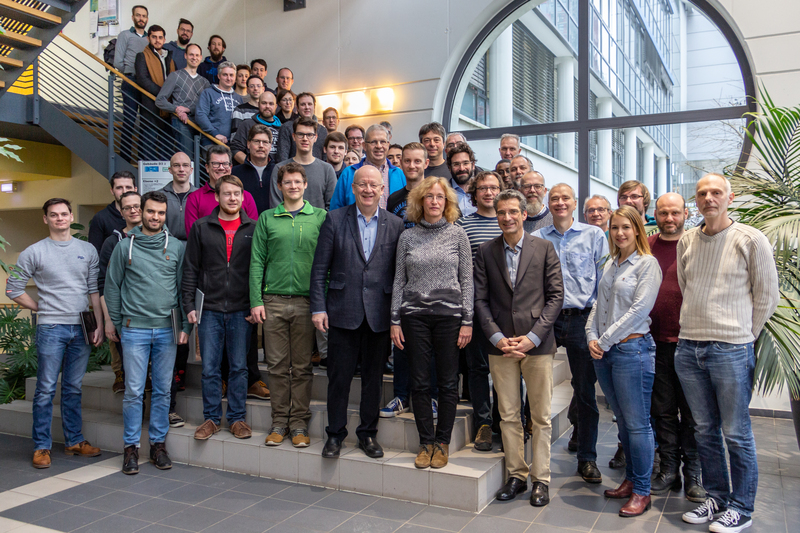 Visitors to the German-Czech HRC Laboratory in Saarbrücken. 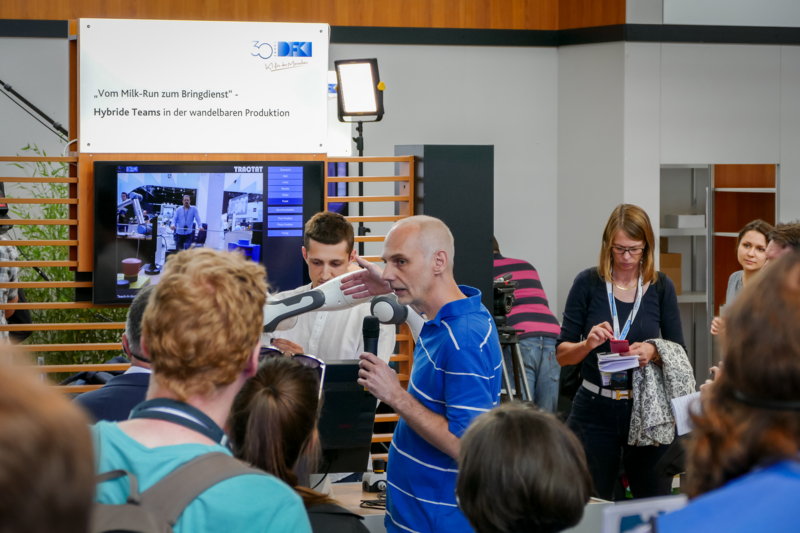 Mixed Reality Production Demonstration in the German-Czech Innovation Laboratory for HRC in Saarbrücken. 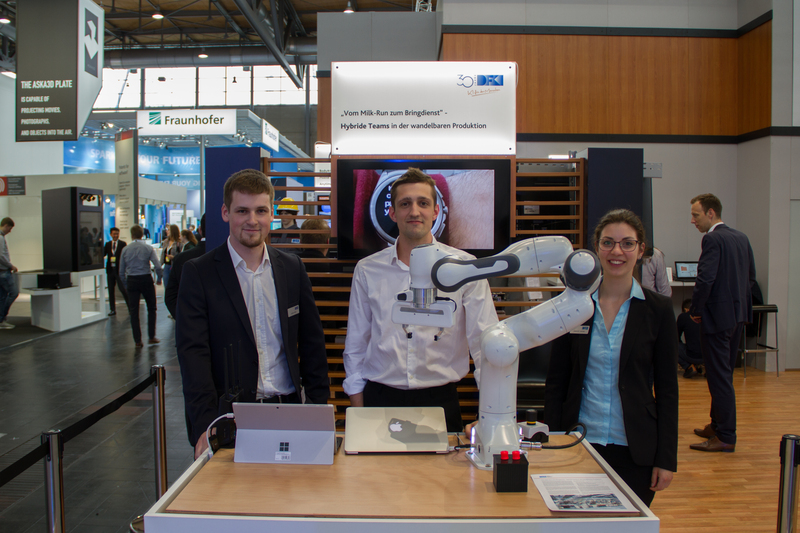 At the 12th of Oktober, the 3rd German-Czech Workshop in Industrie 4.0, with the topic Human-Robot Collaboration, took place in Saarbrücken. 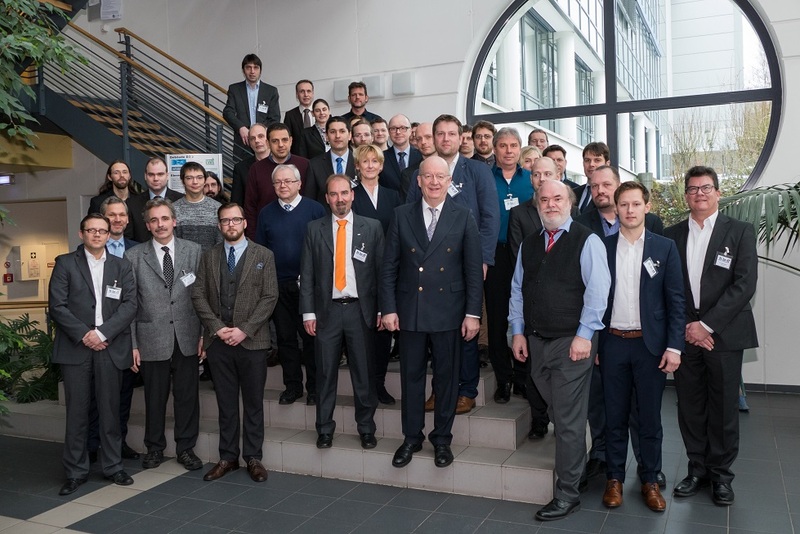 The participants of the 3rd. 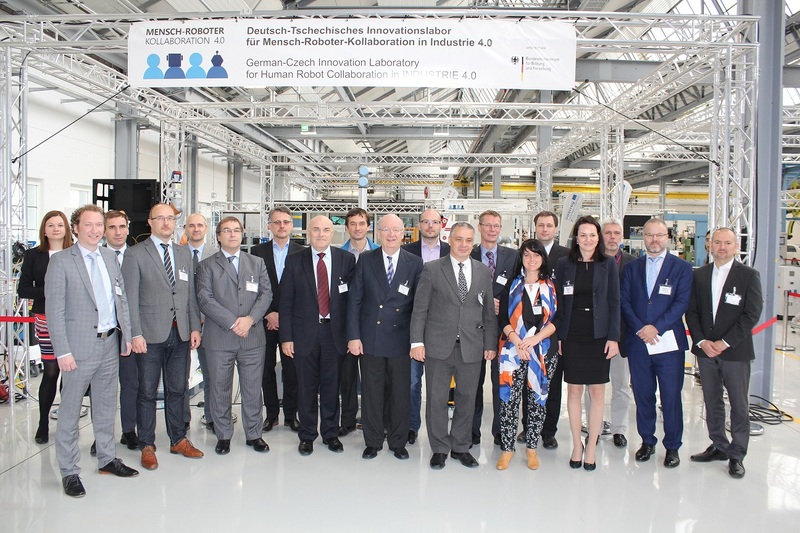 German-Czech Workshop in Industrie 4.0, in front of the German-Czech Innovation Laboratory for Human- Robot Collaboration in Saarbrücken. 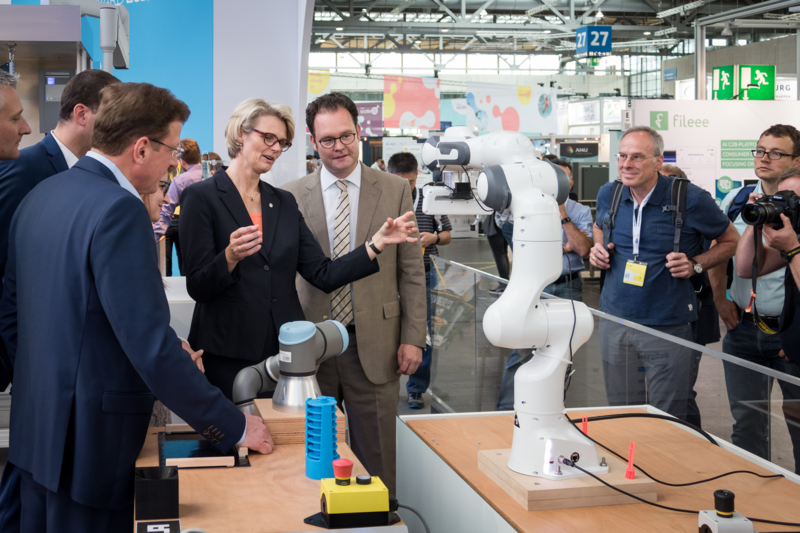 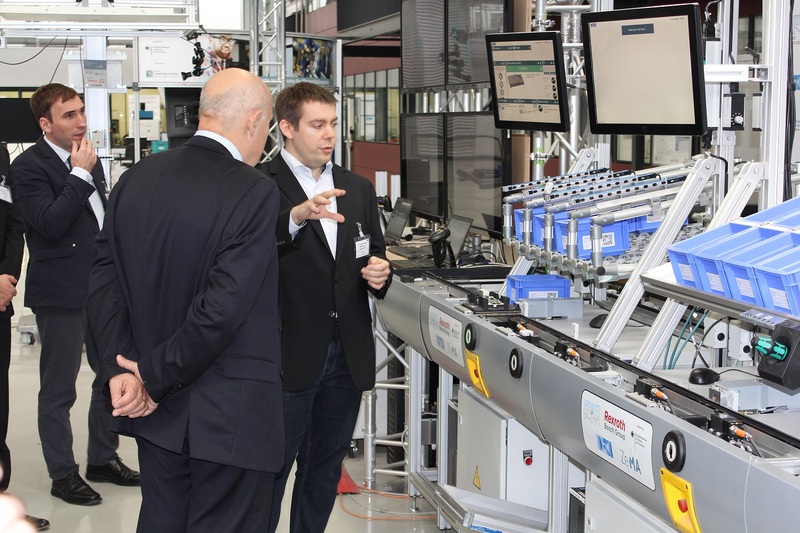 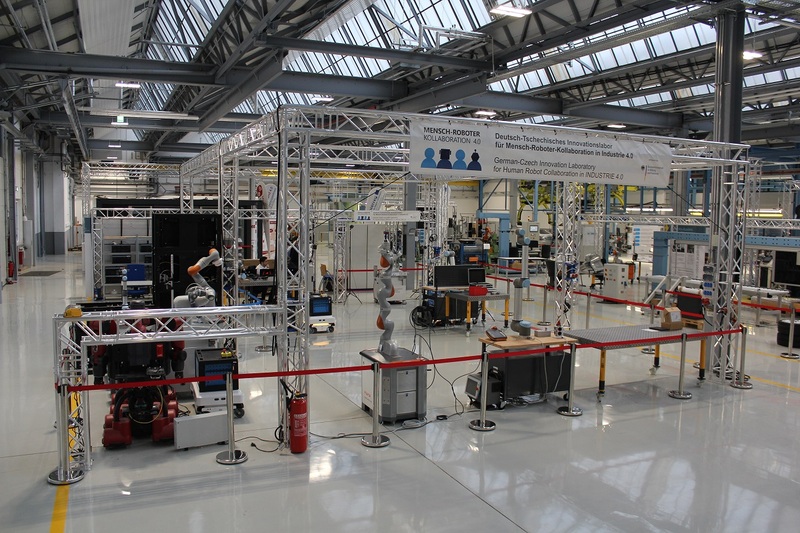 The German-Czech Innovation Laboratory for Human-Robot Collaboration. 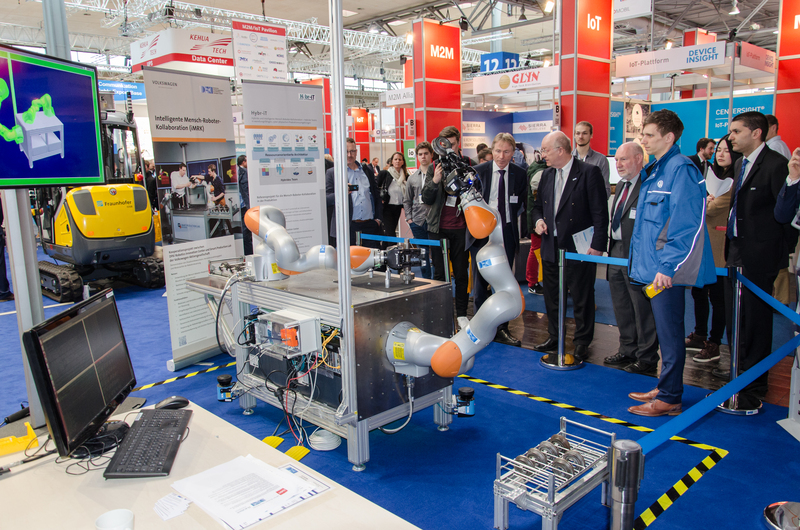 Presentation of a robot demonstration. 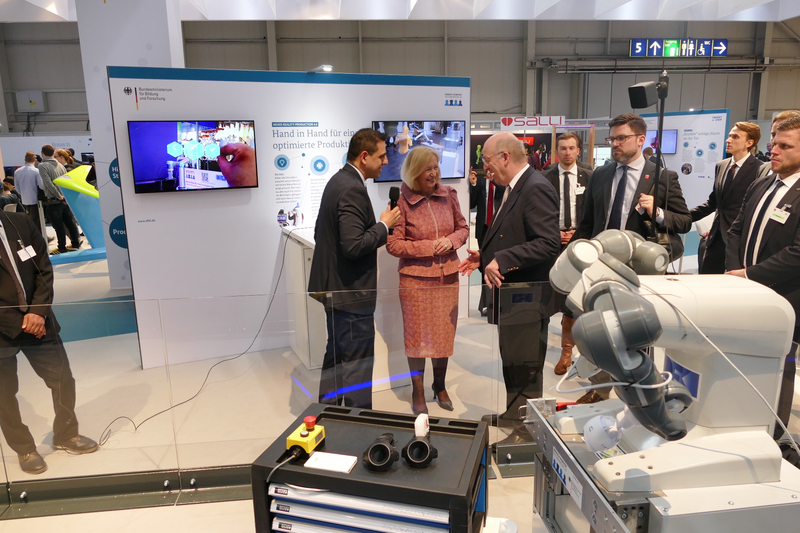 f. l. t. r. Mehdi Moniri (DFKI GmbH), Prof. Dr. Johanna Wanka (Federal Ministry of Education and Reaserach) and Prof. Dr. Dr. hc. 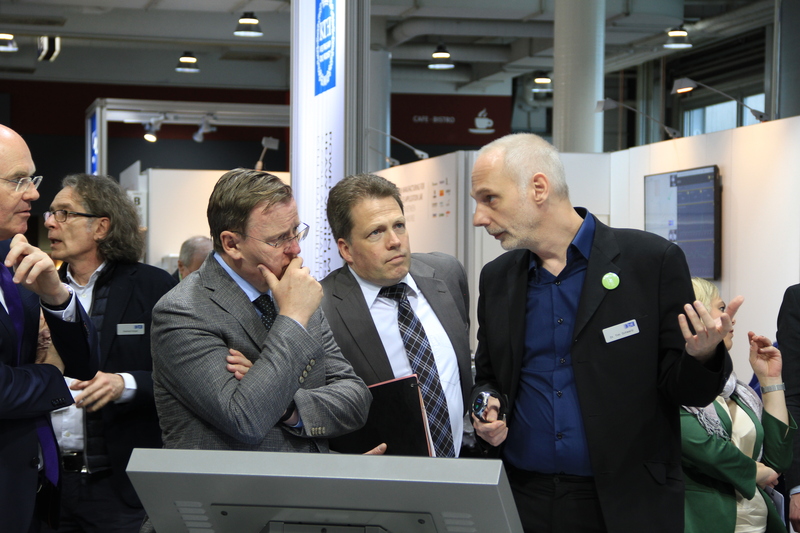 mult. 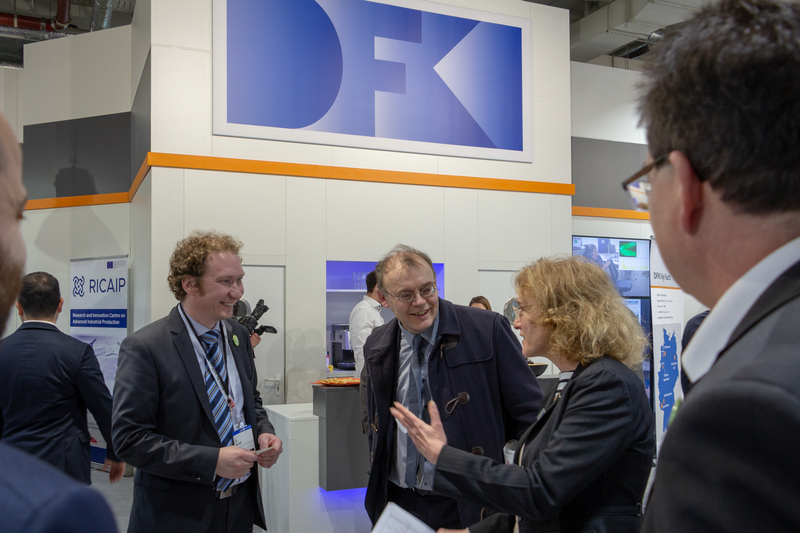 Wolfgang Wahlster (Chief executive officer of the DFKI) GmbH). 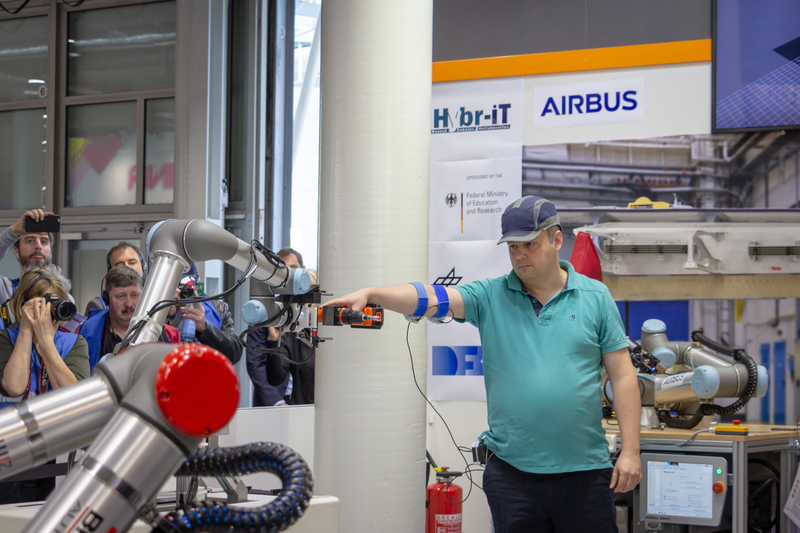 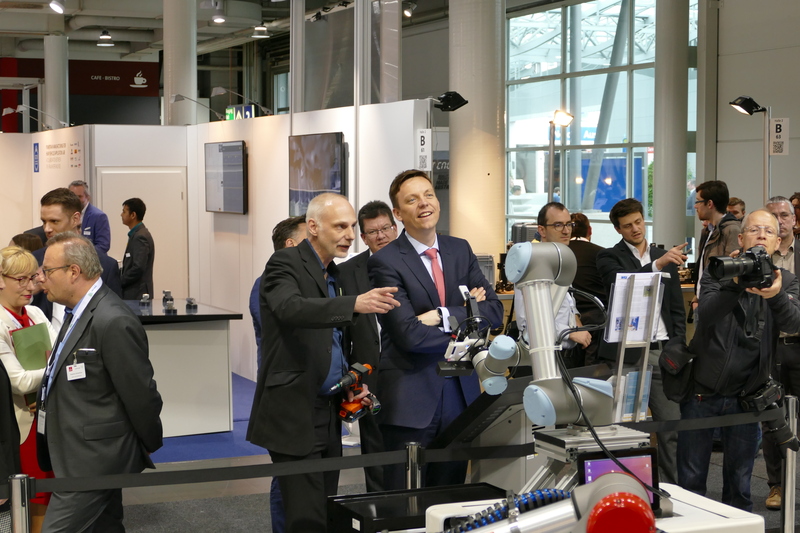 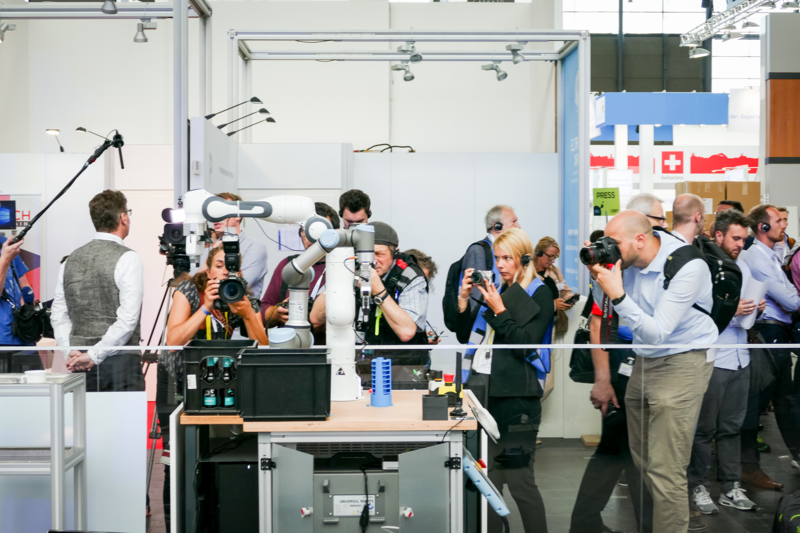 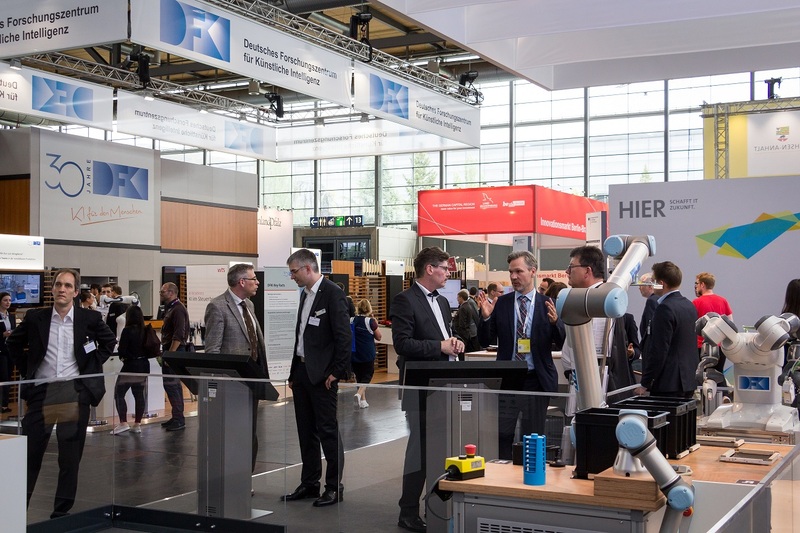 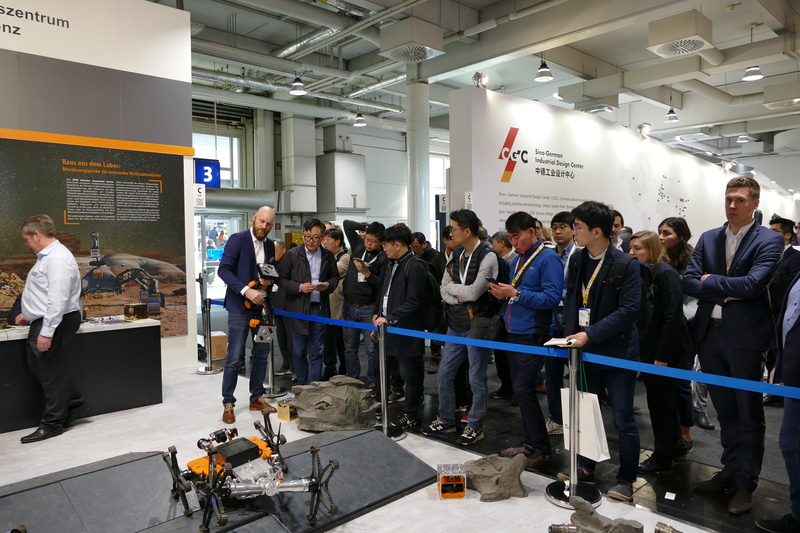 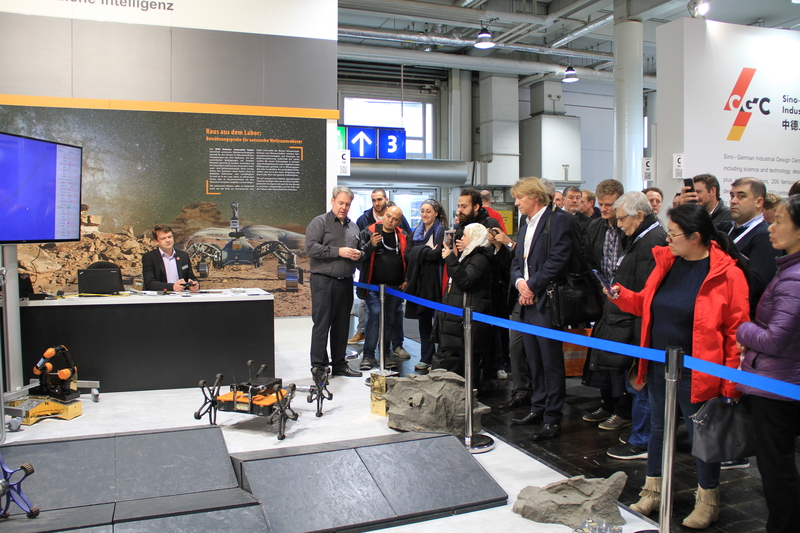 The project iMRK of the Robotics Innovation Center (DFKI GmbH) and the project Hybr-iT at the Cebit 2017. 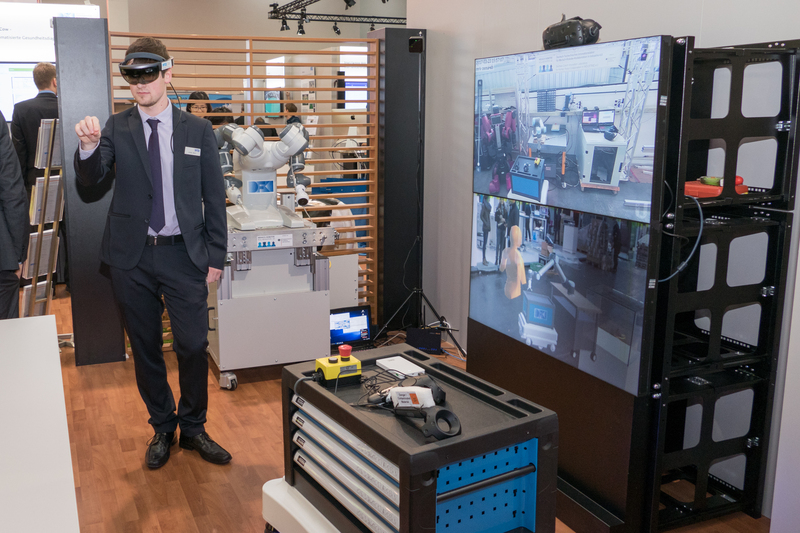 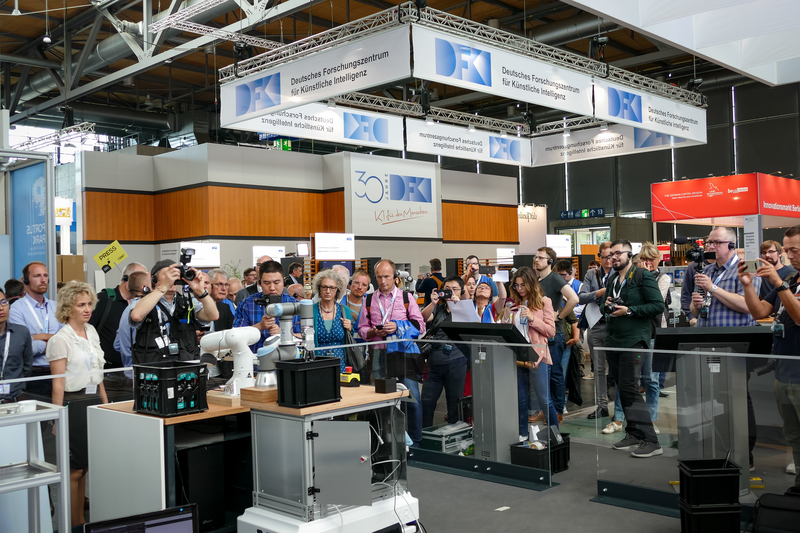 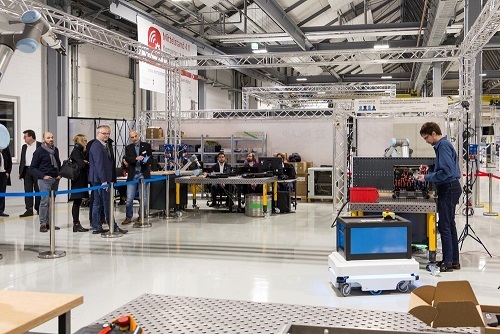 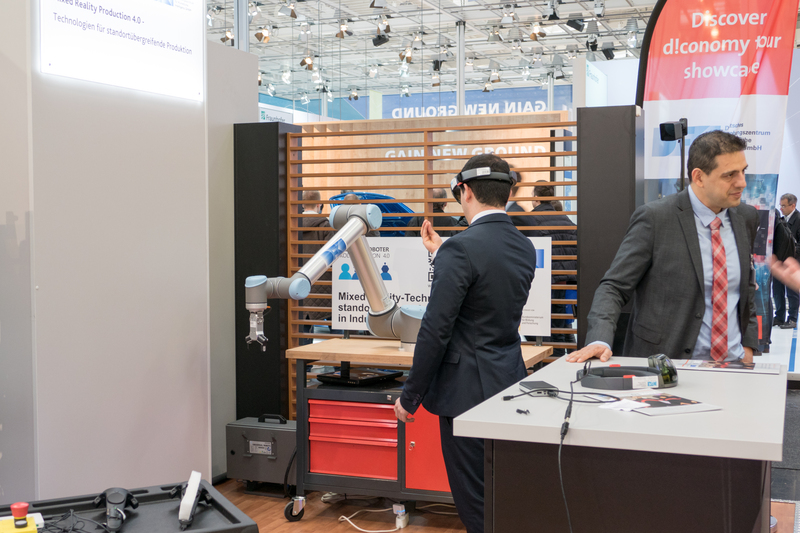 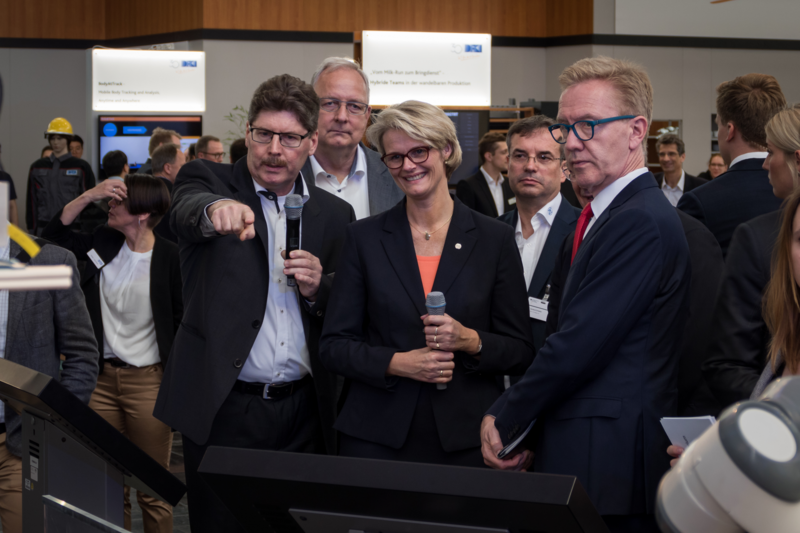 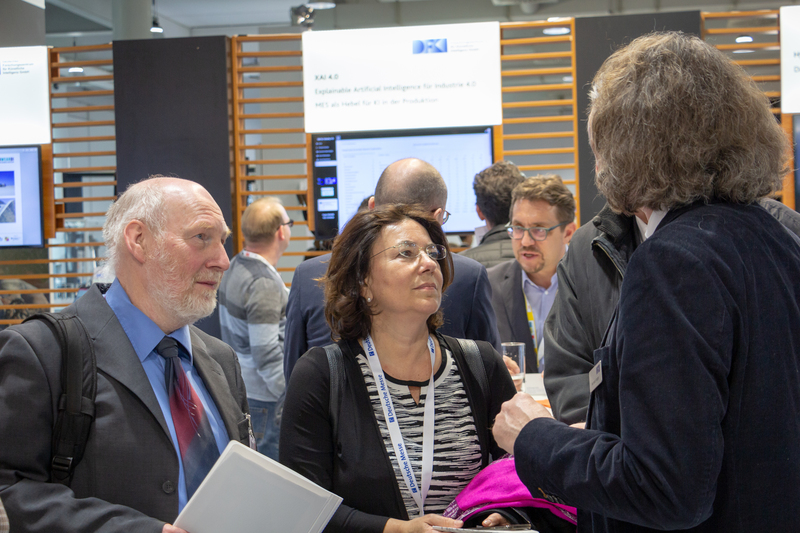 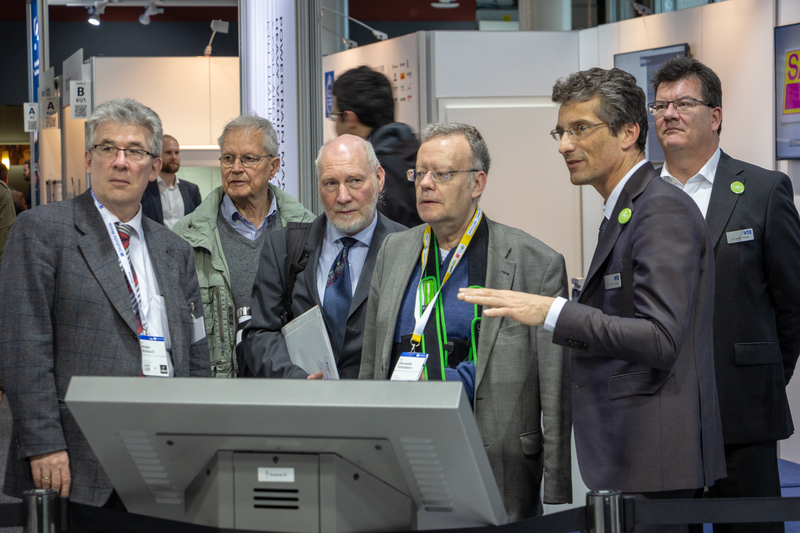 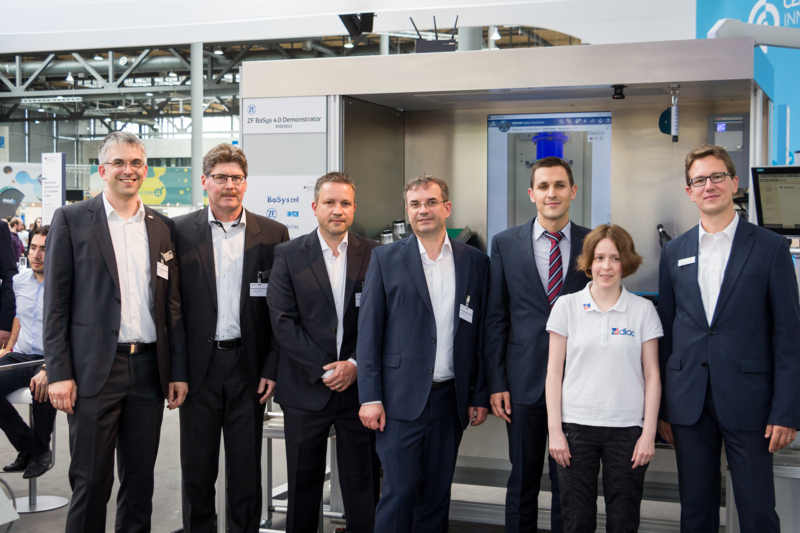 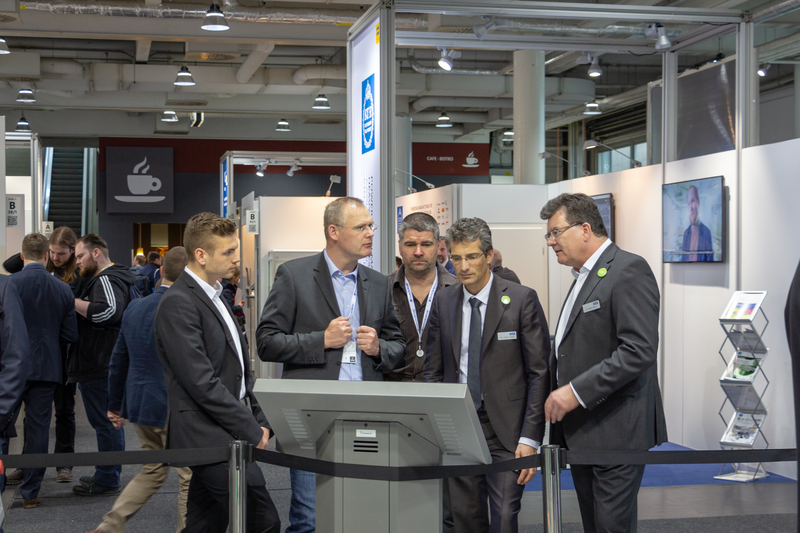 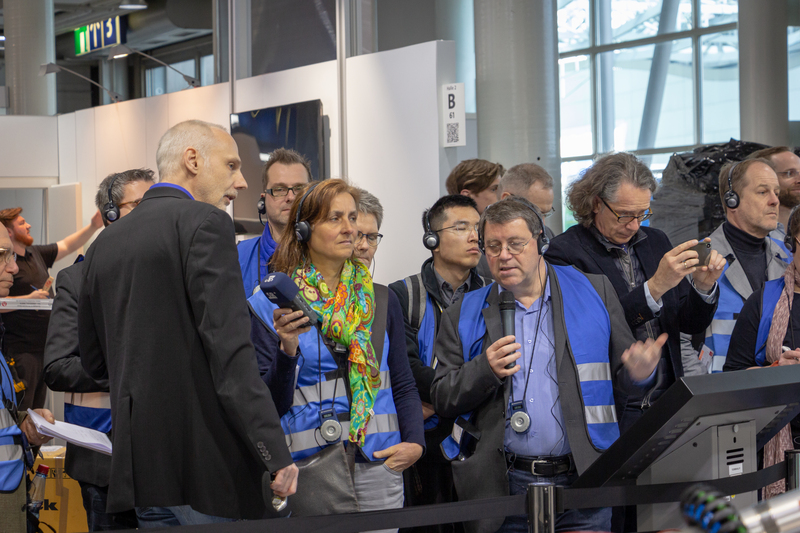 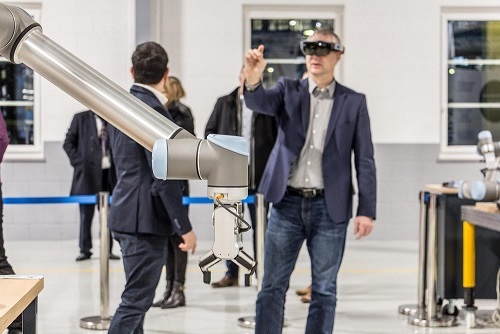 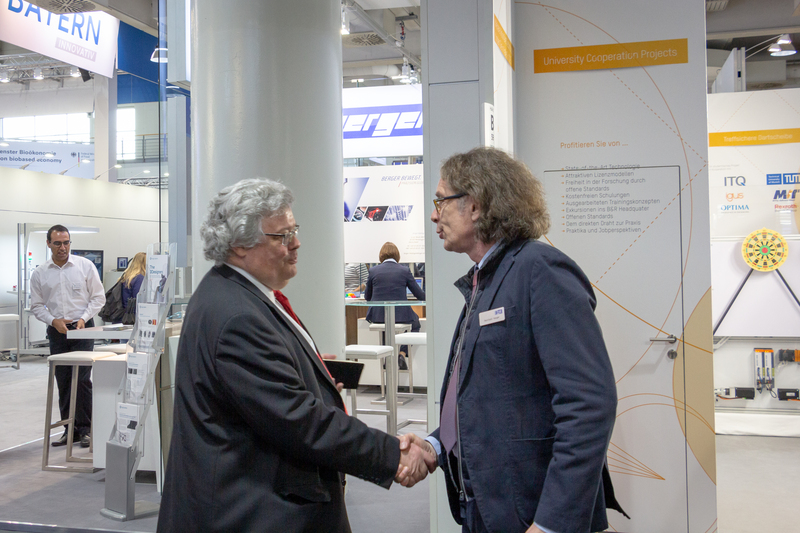 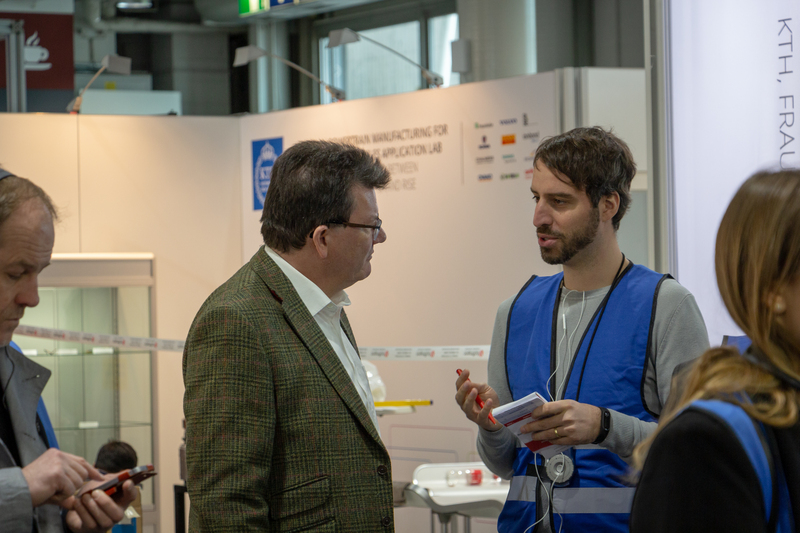 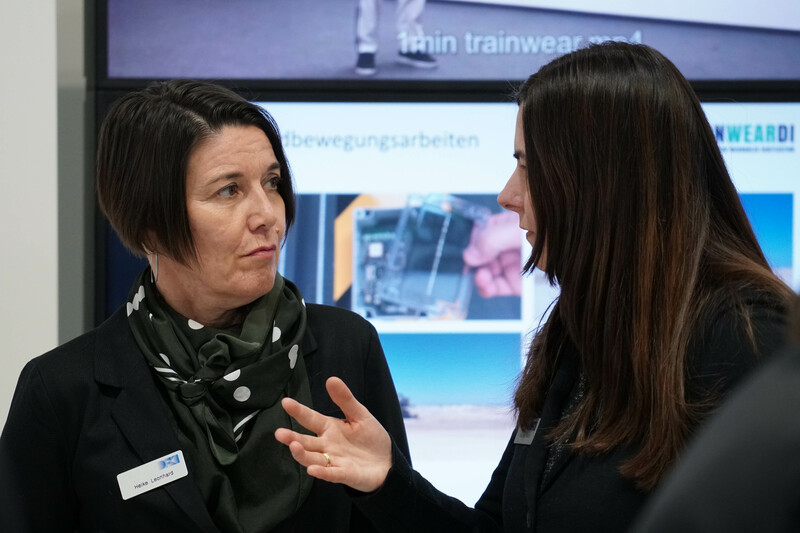 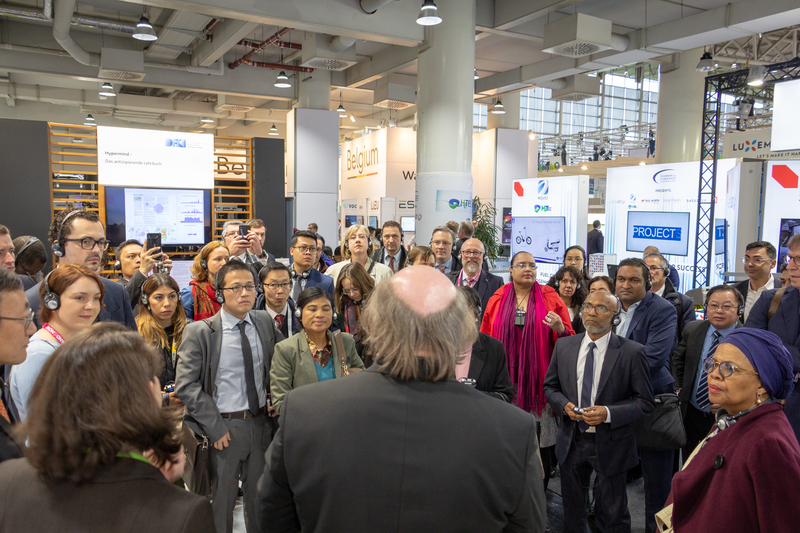 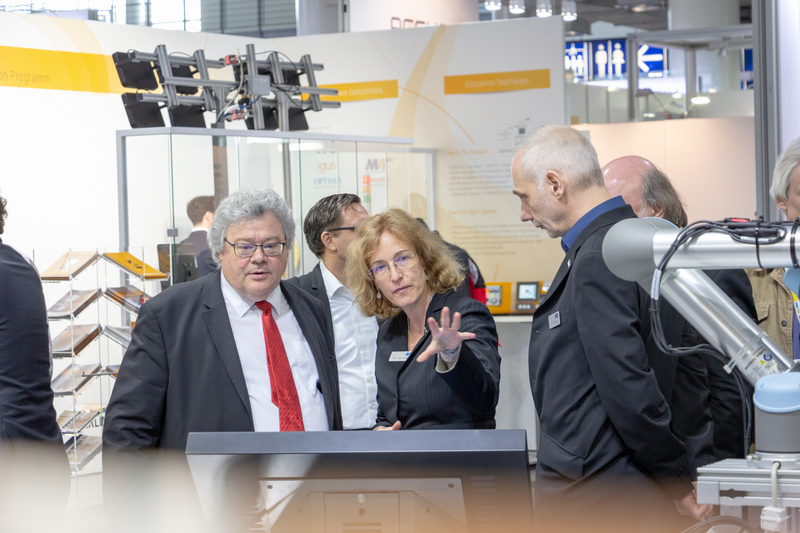 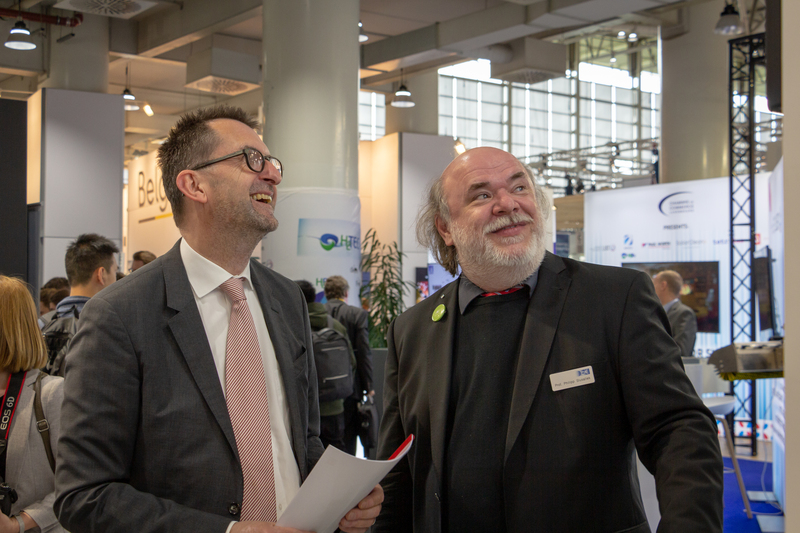 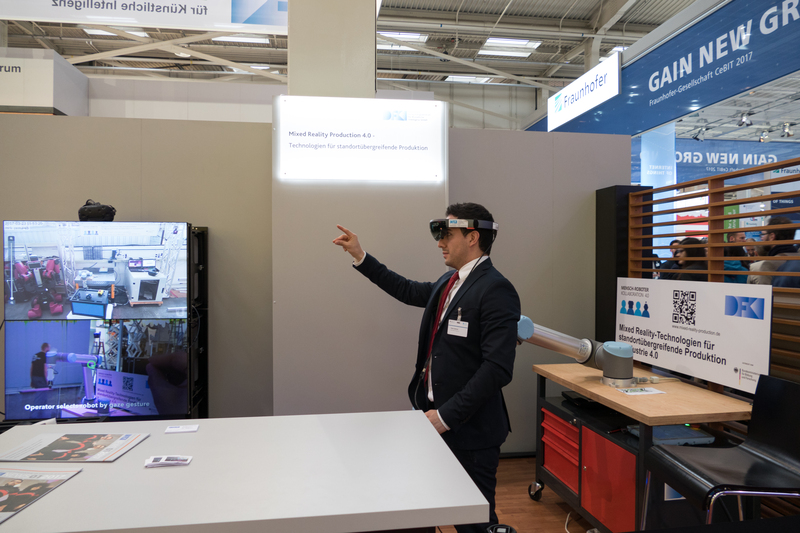 The DFKI shows „Mixed Reality systems for cross-site production in Industrie 4.0“ at the booth of the Federal Ministry of Education and Research. 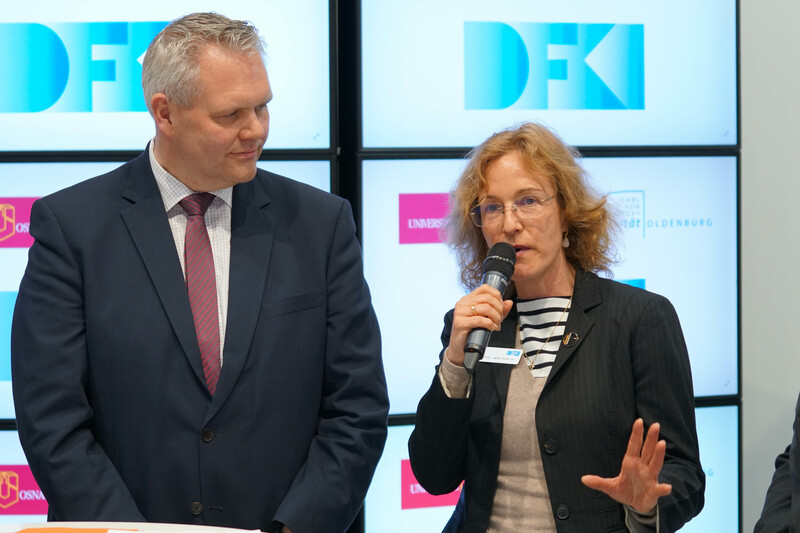 DFKI booth at the CeBIT 2017.